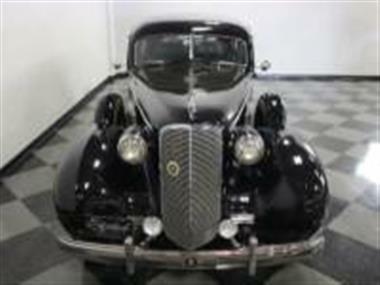 1937 Cadillac Fleetwood in Fort Worth, TX for sale. If you want a powerfuland#44; reliableand#44; striking Full Classic touring carand#44; theres an argument to be made that a Cadillac is the best possible choice. 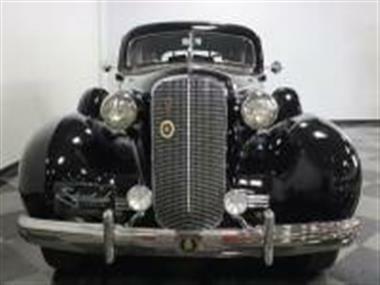 Cars like this 1937 Cadillac Model 75 Imperial limousine represent the pinnacle of GMs engineering mightand#44; a car designed to be reliableand#44; smoothand#44; and competentand#44; all virtues that are doubly prized today. 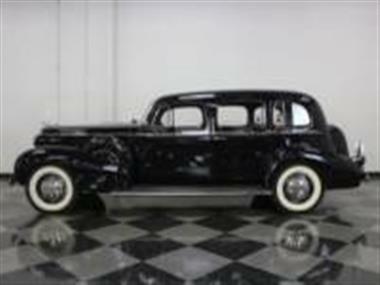 With a few clever upgrades and a nice restorationand#44; this is a car that you can drive with confidence.<br /> <br /> In Cadillac parlanceand#44; Imperial means divider window and this limousine was the top-of-the-line in the V8 model range. 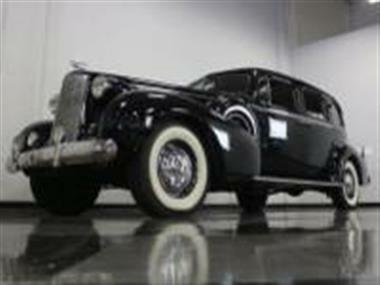 It sits on a massive 138-inch wheelbase that allows for a commanding presence on the road and incredible space inside. 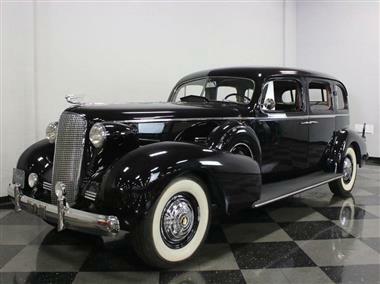 Its beautifully proportioned for such a mammoth carand#44; with a long hood befitting a Cadillac and a roundedand#44; art-deco style that looks sleek without being bulky. Looking closelyand#44; you find exquisite little details like the stylized flying lady hood ornamentand#44; ornate egg crate grilleand#44; and beautiful little taillights that are works of art all by themselves. The black cherry paint shines up beautifully but doesnt call too much attention to itselfand#44; giving the car a very traditional look until the sun hits it just right. A quick polish would really wake it upand#44; but as it sitsand#44; this suckers pretty impressive. All the chrome was probably restored at some point save the grilleand#44; which appears original and shows some ageand#44; but not so that it needs any work today.<br /> <br /> The handsome interior is outfitted in traditional limousine style: black leather up front for the driver (who might have grease on his clothes) and luxurious cloth in back. The gauges appear to have been recently rebuilt and theyre all fully functionaland#44; and there are beautiful wooden garnish moldings around the windowsand#44; even up front where theyre for the chauffeurs eyes only. Plush carpetsand#44; an effective heaterand#44; and a big banjo steering wheel mean that the driver never feels like hes working too hard. In backand#44; its palatialand#44; with a luxurious rear bench with a drop-down center armrestand#44; plus two folding jump seats for extra passengers. The divider window cranks up using the winder on the back of the front seat back and there are more beautiful garnish moldings hereand#44; too. 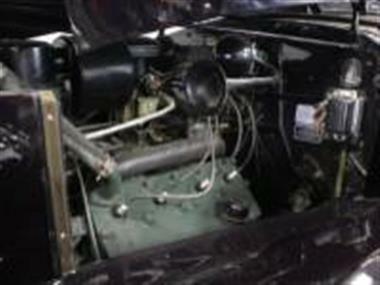 With dual sidemountsand#44; theres no spare in the trunkand#44; leaving you with a bigand#44; usable space thats great for touring.<br /> <br /> Cadillacs 346 cubic inch flathead V8 became a mainstay until it was replaced by the OHV V8 in 1949and#44; and if you want a reliable pre-war tour carand#44; you can scarcely do better. This is actually a 1946 blockand#44; benefitting from a long list of war-proven improvementsand#44; but its fitted with correct 1937 heads and intakeand#44; so nobody will ever notice the swap. It has also been upgraded to a 12-volt electrical systemand#44; but theres no obvious alternatorand#44; just a 12V generator taking care of business invisibly. Its painted the right shade of olive greenand#44; the factory Stromberg carburetor still handles the fuel mixand#44; and its nicely finished with only a few modest signs of use. 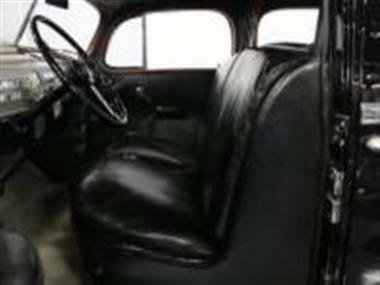 The 3-speed manual transmission shifts smoothlyand#44; clutch take-up is effortlessand#44; and the car rolls from a stop as if it were electricand#44; which was entirely the point of the limousine. The suspension and long wheelbase smother all bumps and the hydraulic drum brakes are reasonably powerful. Short-ish gears out back mean its happy cruising at 55-60 MPH and thanks to a set of new wide whitewall radial tiresand#44; it tracks and handles superbly.<br /> <br /> This is a lot of first-class comfort for not a lot of cash. 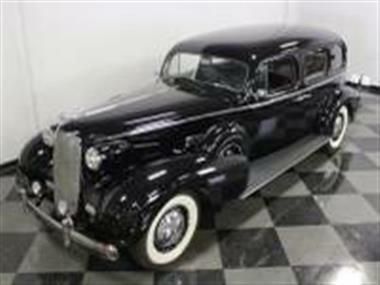 Welcome at virtually any event and easy to drive despite its sizeand#44; this Cadillac is an excellent choice if you actually like to drive your old cars. Call today!